Update: Since this post was published, Pebble has introduced a beta appstore for Android through their developer blog. Pebble encourages interested users to "help us finalize the Android app and ship it to everyone very quickly" by using the beta release and reporting any bugs. The beta release is certainly not without its issues, but interested parties can download it here. Since Pebble first became available to the masses, finding good apps and watchfaces for the device has been sort of a hit-and-miss experience. 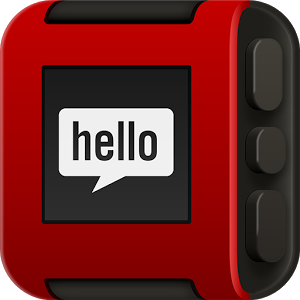 Pebble knew this was the case, so back at CES 2014 it announced an upcoming appstore. A one-stop shop for Pebble owners to easily find new apps and the like for their beloved smartwatch. Today, that appstore is open for business. Unless you're on Android, that is. Once available, the store will be baked into the Pebble app, which, according to Pebble, is still being "fine tuned on Android." However, the company is promising an update will be available with appstore "very, very soon." If you happen to have an iOS device laying around, however, you can explore it now. The store will be laid out with different sections for apps and watchfaces, with subsections under apps for Tools & Utilities, Notifications, Remotes, Fitness, Games, and "Daily" applications, which should make it a bit easier to find exactly what you're looking for. Similarly, the "Locker" feature will store your favorite apps and watchfaces for quick transfers to and from the unit. Hopefully we'll see this update hit the Play Store before week's end, but either way we'll let you know when it happens.